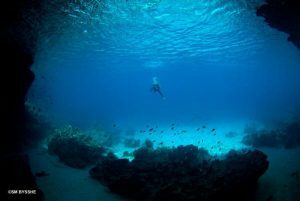 Curacao is not only a top dive destination. It also offers dive vacationers a wide range of land based and water based activities. The GO WEST Diving Team will be happy to help you plan your days on Curacao. Spend one day going to the inhabited island of Klein Curacao; get to know the underwater world in a submarine or take a hiking tour in the beautiful Christoffel Park. Go West Diving offers car and truck rentals as part of our Stay, Drive & Dive packages, making independent exploration a breeze. 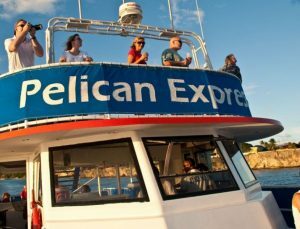 Every day a different tour, for example Harbour Trip, Caribbean Sunset, Local Fishing Adventure, Happy Wine Cruise. Enter the Twilight zone. 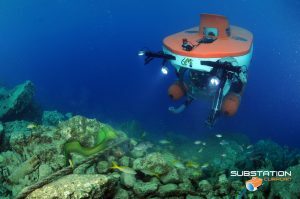 With the Curasub you can go to depths which you can’t reach with Scuba diving. Venture between 200 ft and 1500 ft for an hour long exploration of a lifetime. Go West Diving offers guided snorkeling tours from our dive shop every Wednesday and Saturday. The tour goes to Black Sand Reef – a wonderful place to go snorkeling on Curacao. After snorkeling the plateau we will show you the beautiful blue room of Curacao. Half day Sail & Snorkel Tour: By catamaran. Visit the Spanish Water and the East Shore of Curacao. Sea World Explorer: Semi-Submarine that takes you to a reef on the southern side of Curacao, takes about an hour. Sail & Snorkel afternoon trip: A classic sailing ship shows you the eastern coast of Curacao. You snorkel at Caracas-bay and swim at Fuik-bay. Deep Sea Fishing: Half or full day charters including all fishing gear, drinks and snacks. On the full day charter also BBQ. At the Dolphin Academy you can Swim or Snorkel with Dolphins or do a Dolphin Encounter. 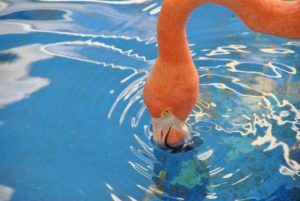 In the Sea Aquarium itself there are shows with Sea lions, dolphins and other animals, aquarium tour etc. Go West Diving and our accommodation partners are located a short drive away from one of our islands natural treasures – Christoffel Park. Take a jeep safari or rise early to climb the mountain or join a bird watching tour. Westpunt Riders is a foundation created to help the local youth through healthy activities, mainly mountain biking. We have many miles of trails along the rugged coast of the island. We offer tours for both experienced and inexperienced riders. 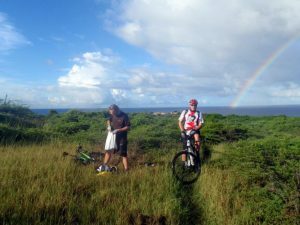 From the rugged north coast to the calm beaches along the south west we hope you will agree that a mountain bike tour is a great way to see our island. 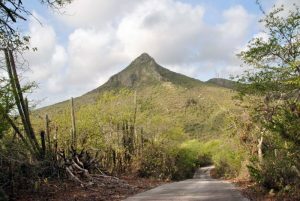 Buggy Adventures: A tour guide takes you to the East Side of the island. ATV Adventures: A tour guide takes you to the north side of the island, all the way to Playa Kanoa. Willemstad Trolley Train Tour: In this Trolley you visit the floating market, the cathedral in Pietermaai and many more highlights of Punda. The guide gives you a lot of information about the history and architecture of the city. Takes an hour. Hato Caves & Ostrich Farm: Tour through the caves, then at the Ostrich Farm. 3,5 hours.